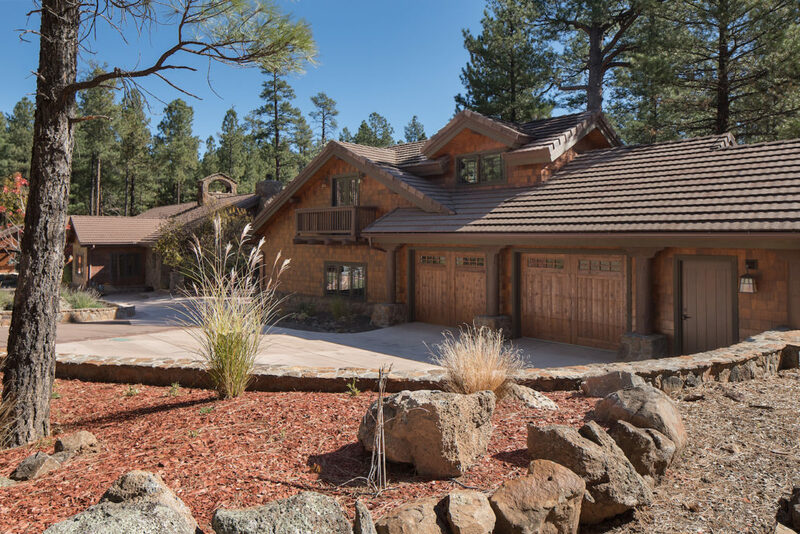 The Zoppath residence design is based on the desires of the owner and the specifics of this extraordinary lot. 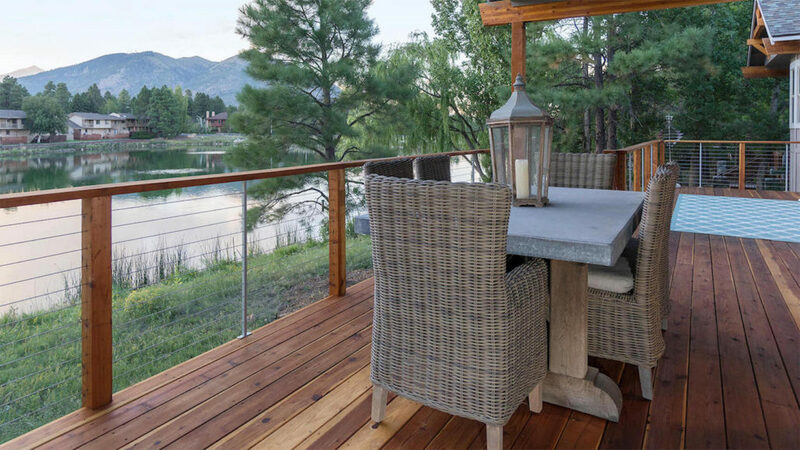 We designed the home maximize views of the private golf course, lake and mountains as seen from the back of the lot. 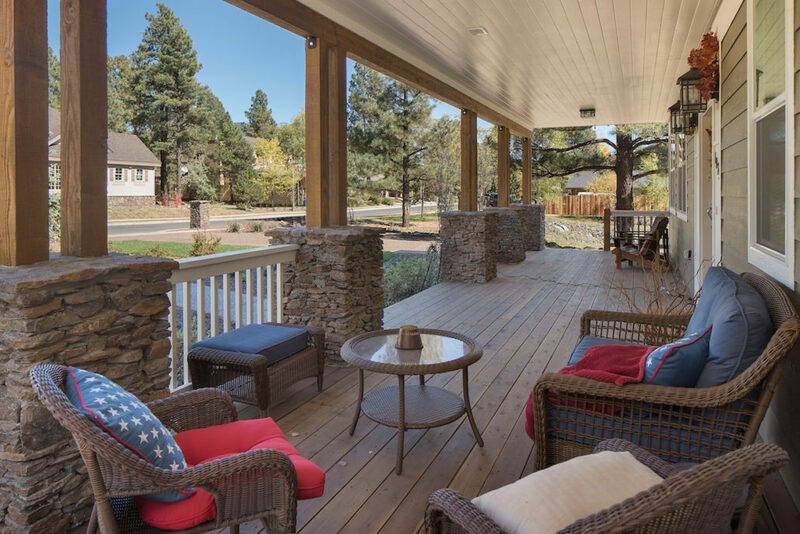 The hand-built deck rail was designed and constructed by HCI to ensure safety, code compliance and to minimize visual obstruction. 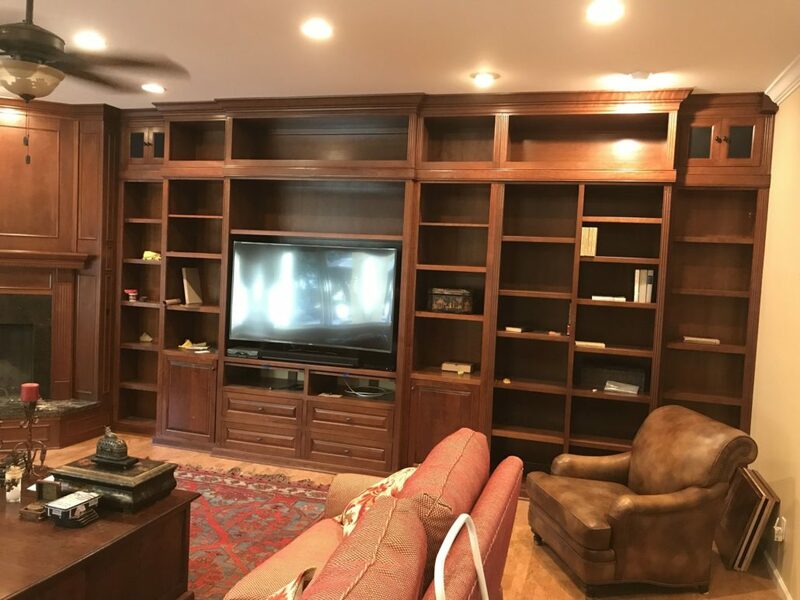 HCI also custom built solid Walnut floating shelves in the kitchen and greatroom, furniture grade Walnut tops for the custom, HCI built in cabinets and the striking Walnut butcher block countertop on the kitchen island. 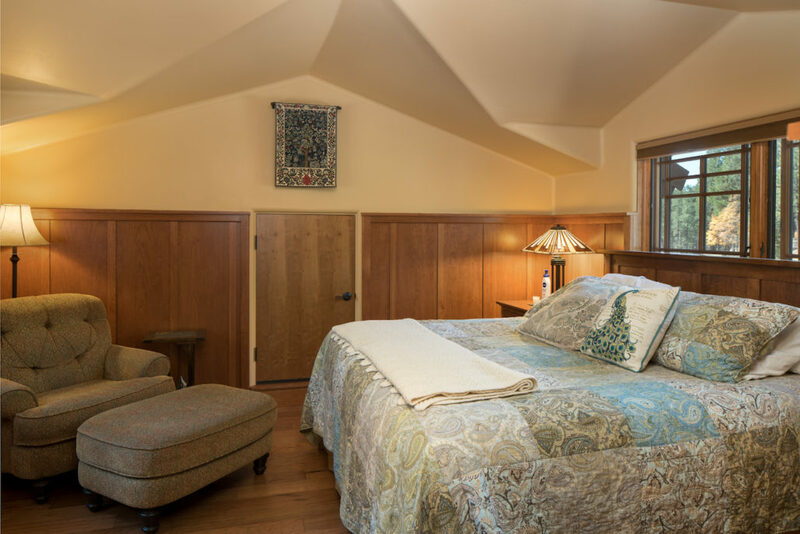 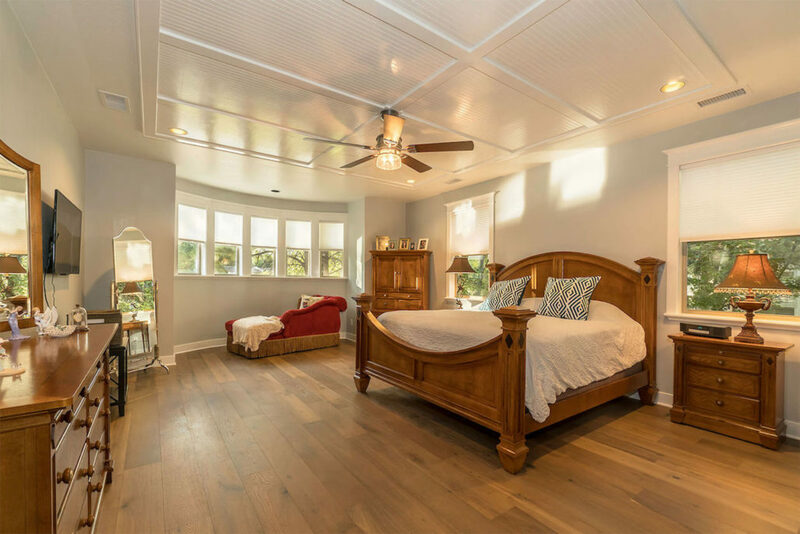 The ceiling in the master was designed and built on site to match the window and door trim HCI is known for. 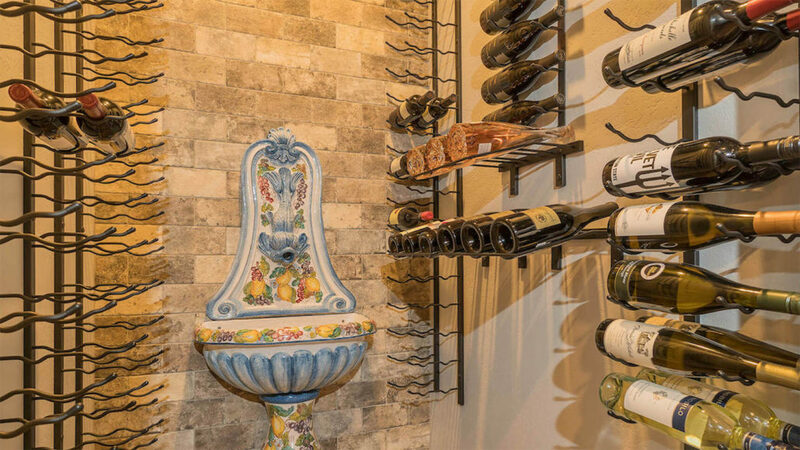 Other elements include hand shaped gable accents, a climate-controlled wine room and a gourmet kitchen. 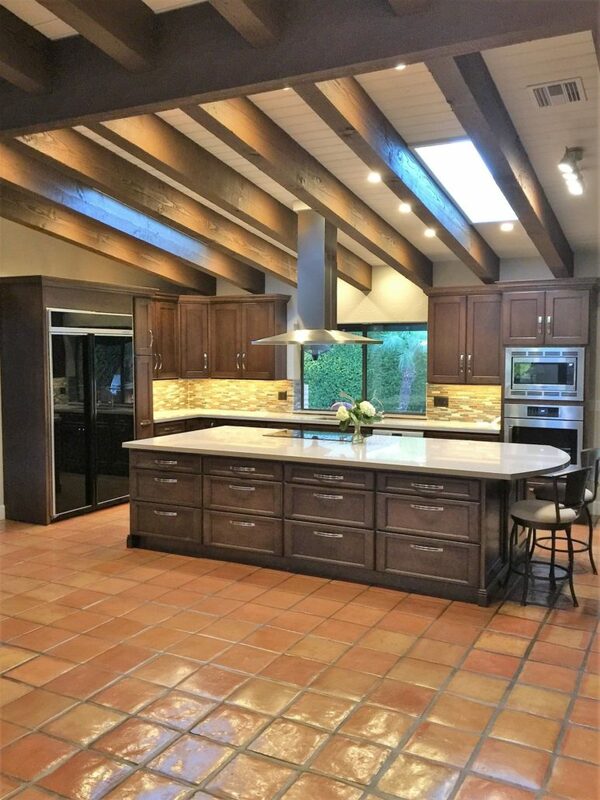 Holdsworth designed and executed this bungalow style home based on the famous Greene and Greene design, the Gamble House in Pasadena, CA. 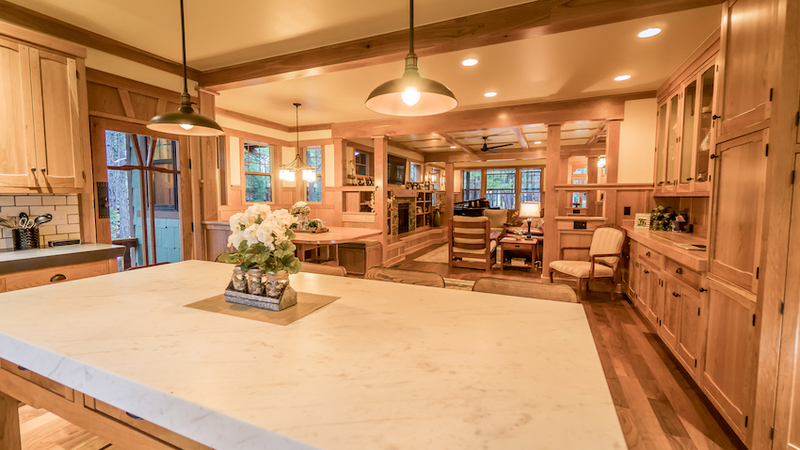 HCI self-performed the custom cherry millwork and built all exterior and interior doors from an in-house design. 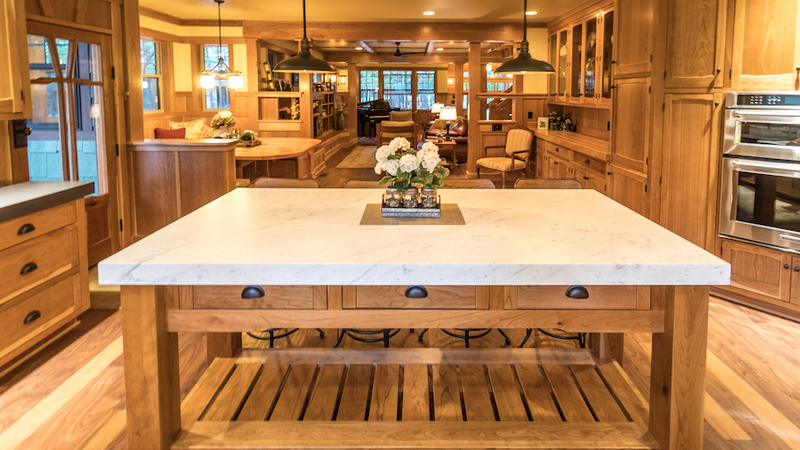 Each element of the home was meticulously thought out resulting in a masterpiece of woodworking, design and architectural detail. 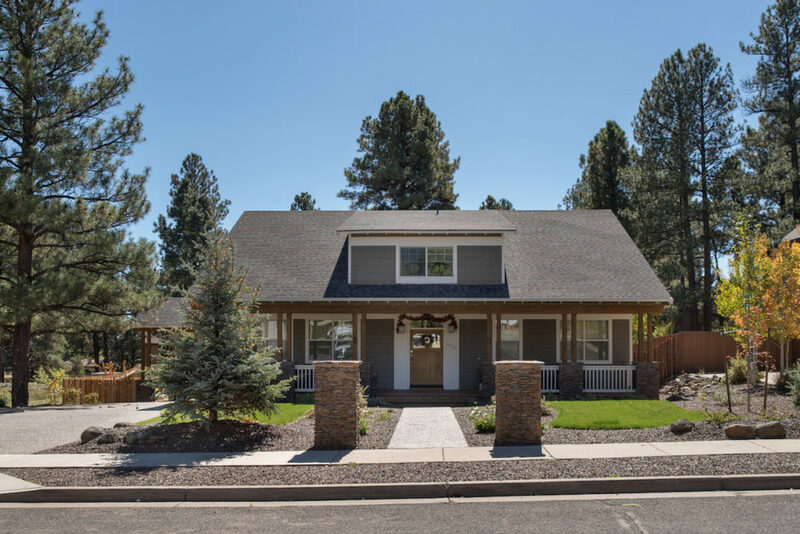 HCI added a complete, detached exercise building and removed the truss structure from an existing 2 car to add an additional 4 car on the ground level and add a guest house above. 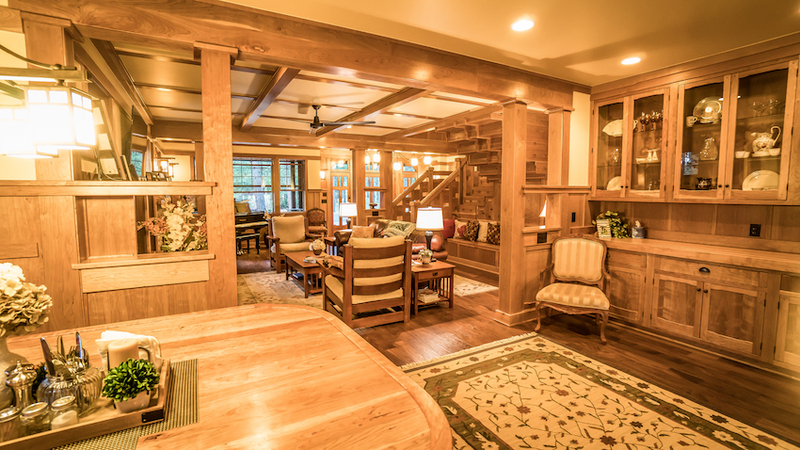 The Exercise Bungalow consisted of an in-ground pool, steam shower and sauna. 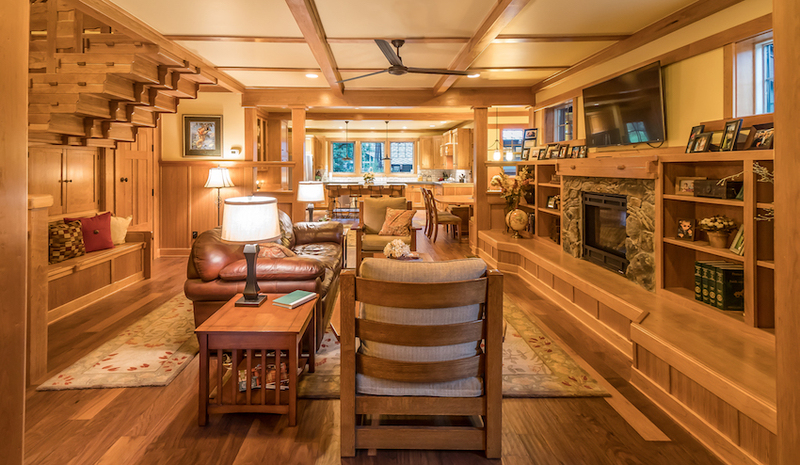 The bungalow matched the existing structure inside and out with all carpentry completed by HCI personnel. 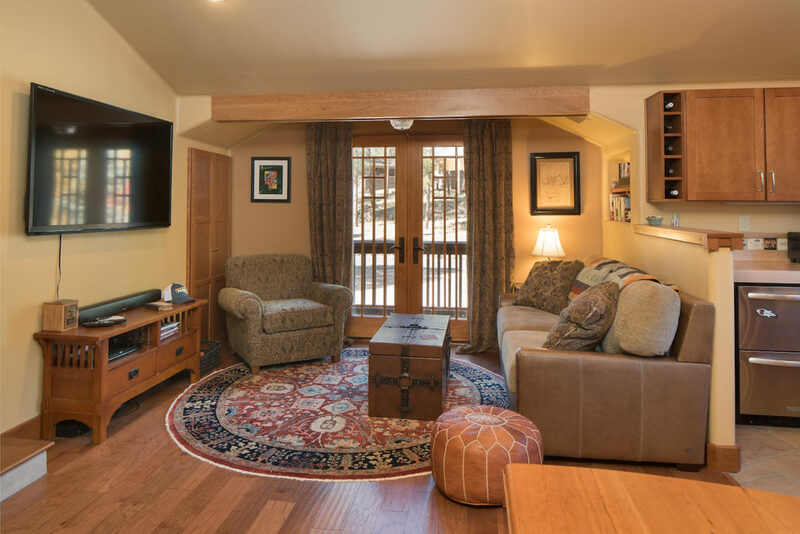 The casita includes a living room, kitchen, bed and bathroom. 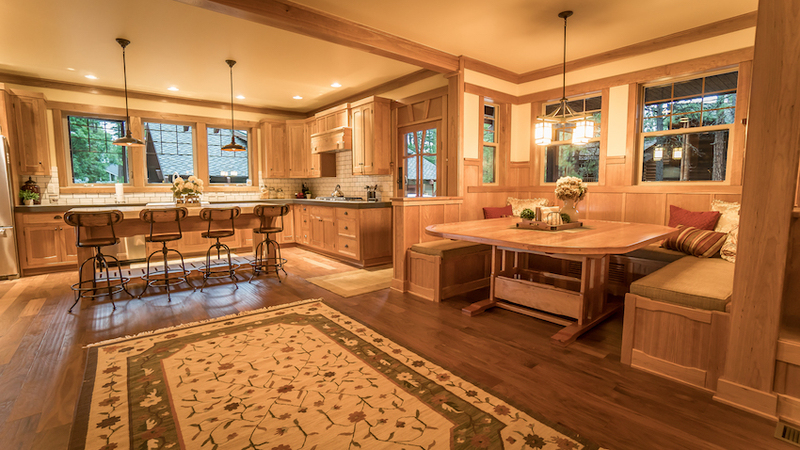 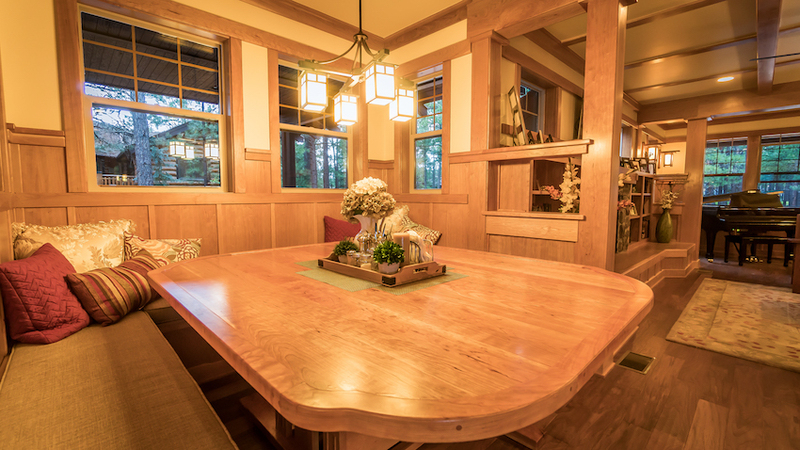 The picture of the kitchen with the breakfast nook seating and drop leaf table were hand crafted by HCI to perfectly match the Arts and Crafts theme of the home. 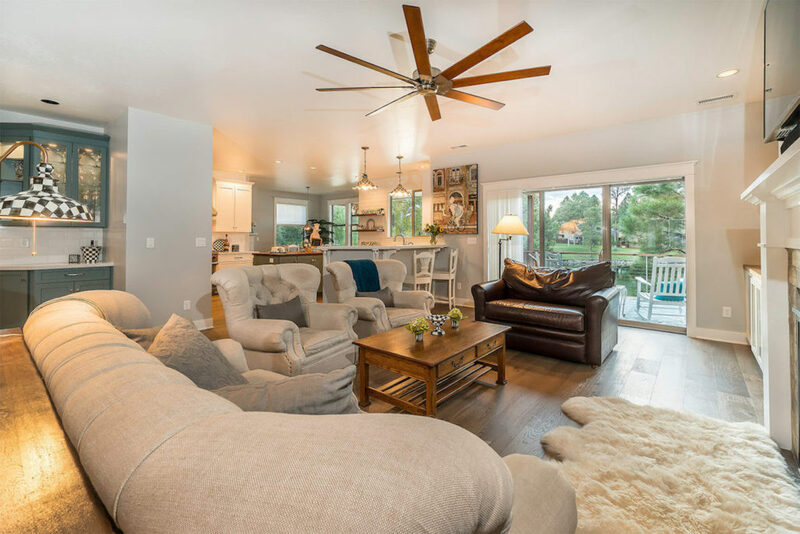 HCI designed and completed a full remodel of this 1950’s home located in North Central Phoenix. 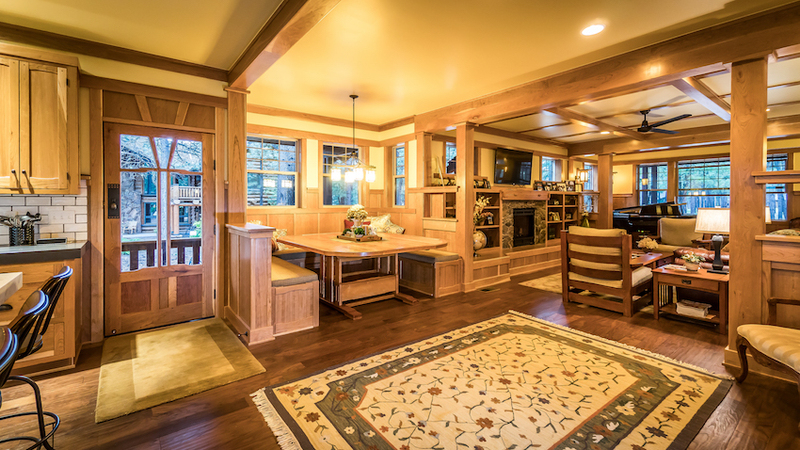 Several interior walls were removed to update and open up the floor plan as well as add an extra room to the home. 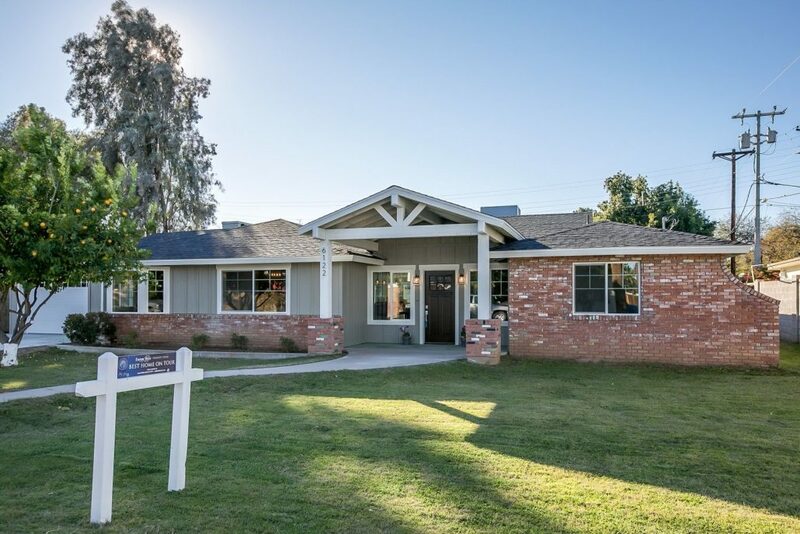 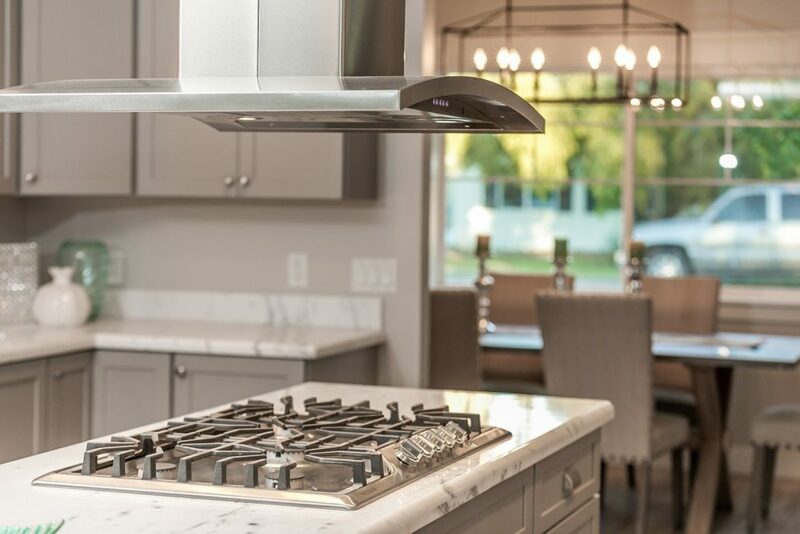 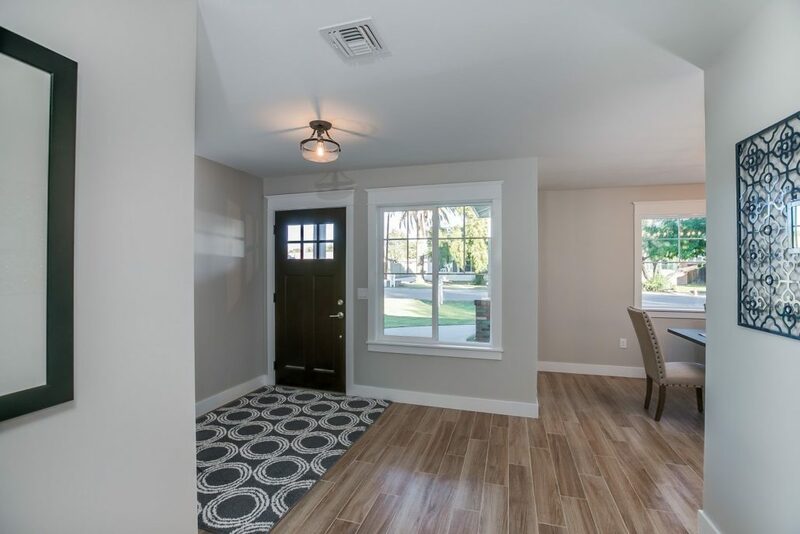 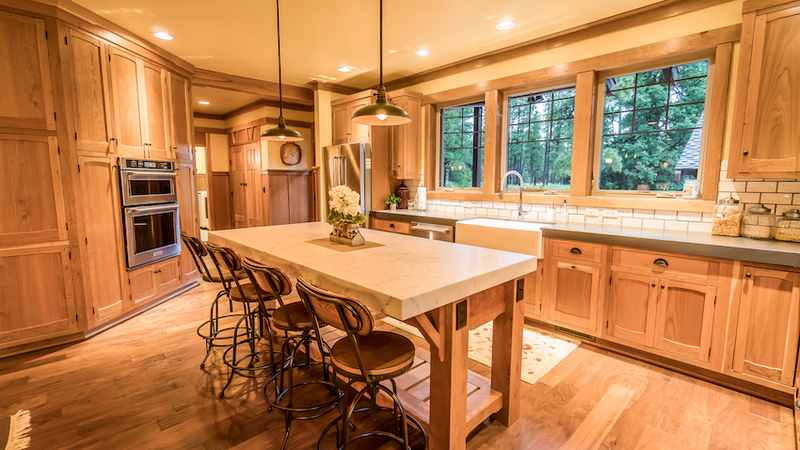 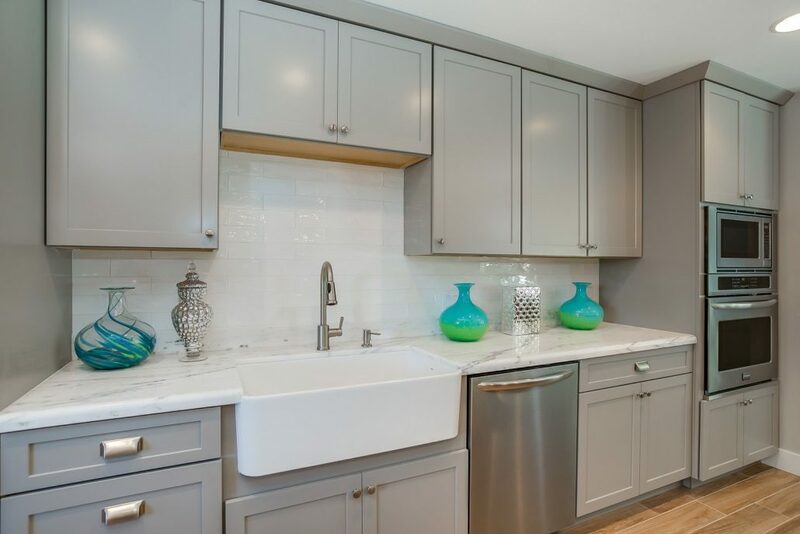 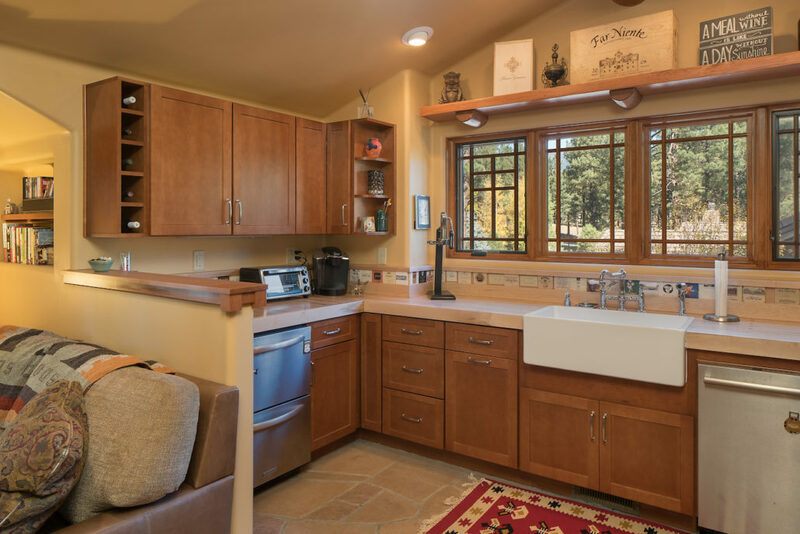 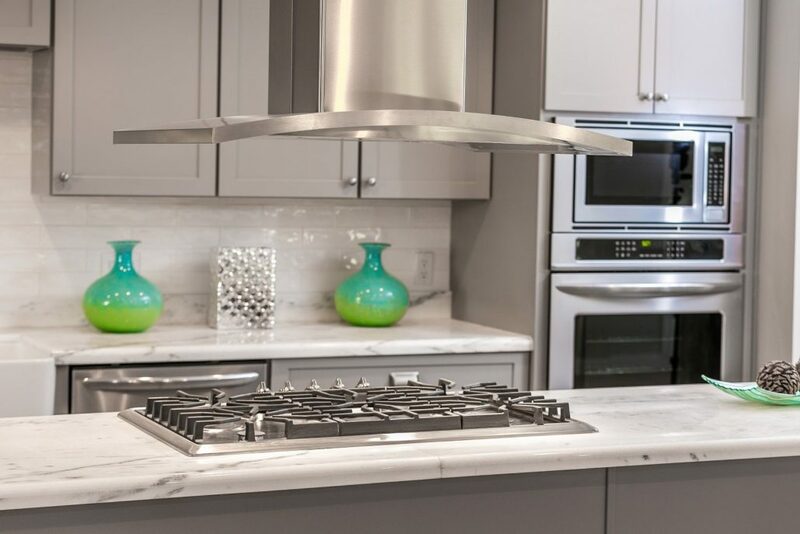 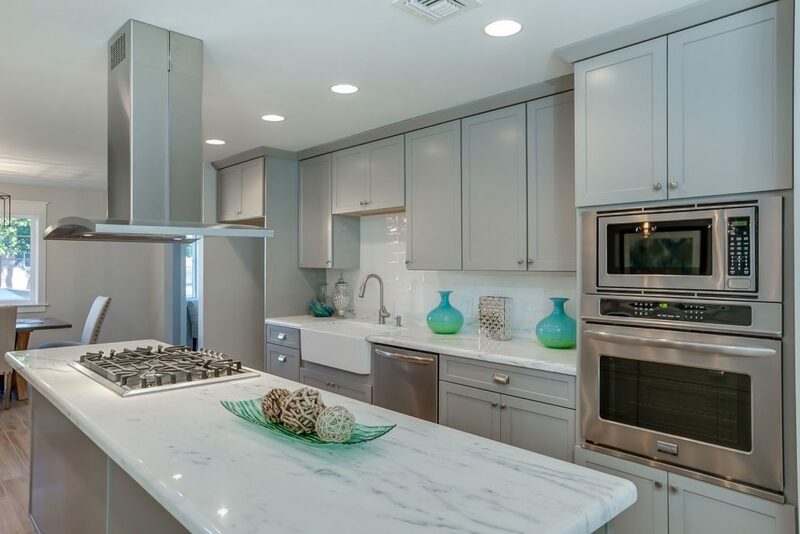 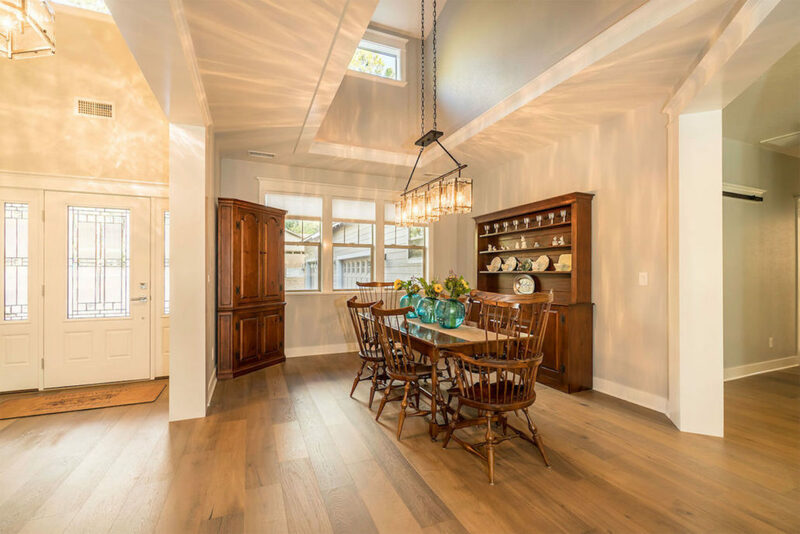 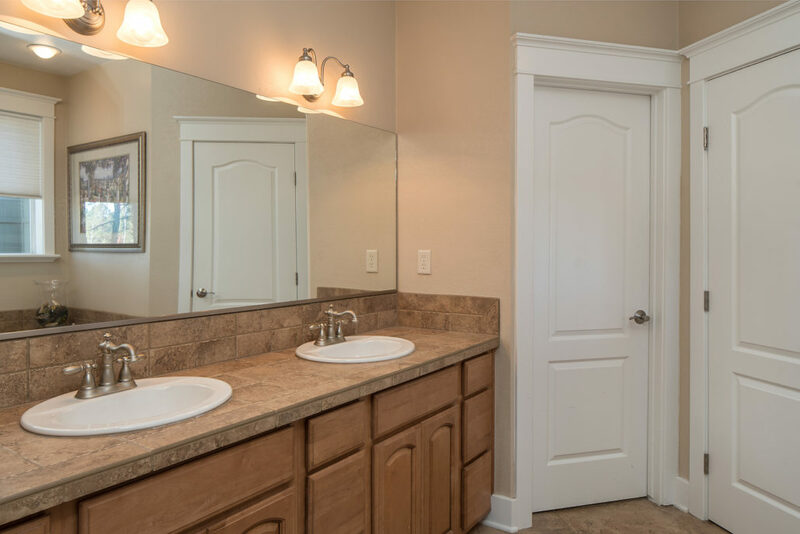 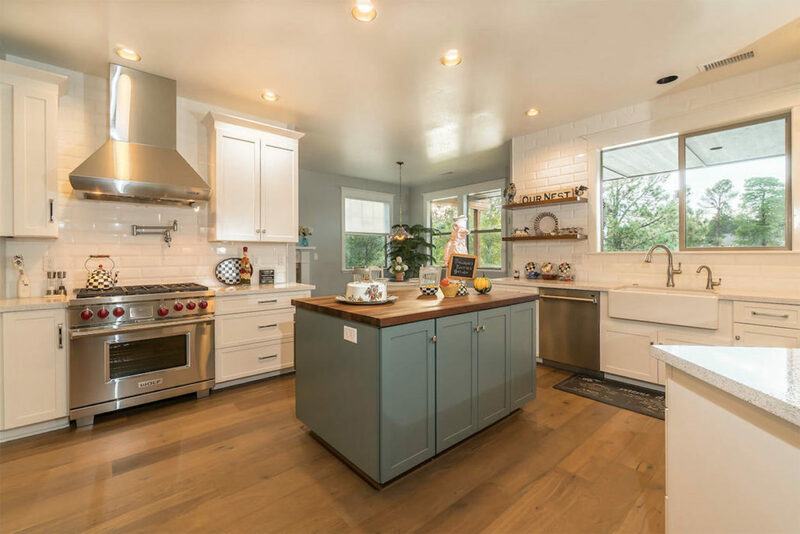 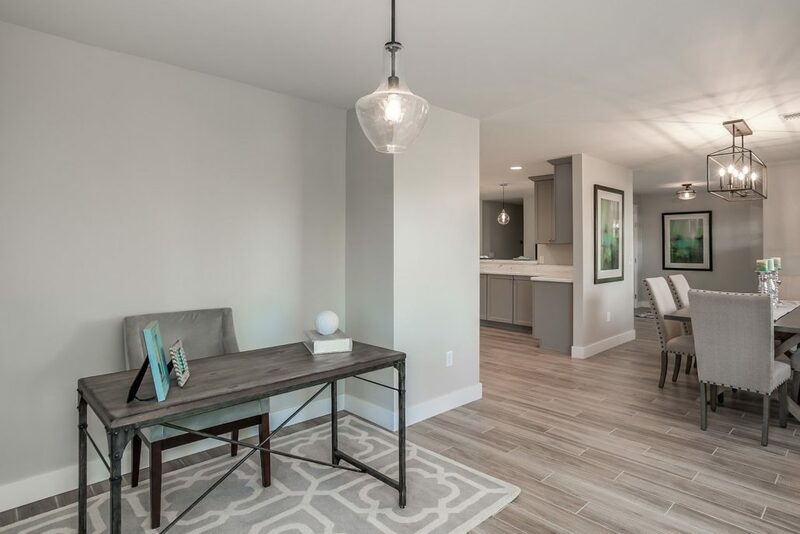 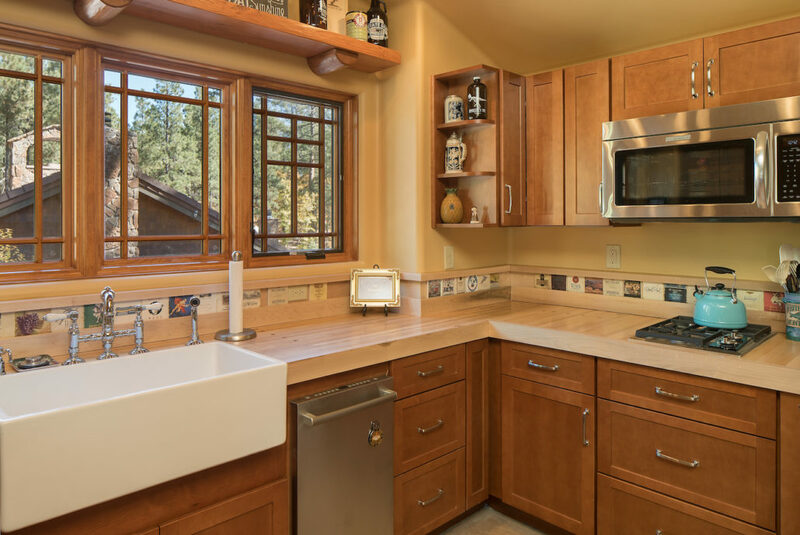 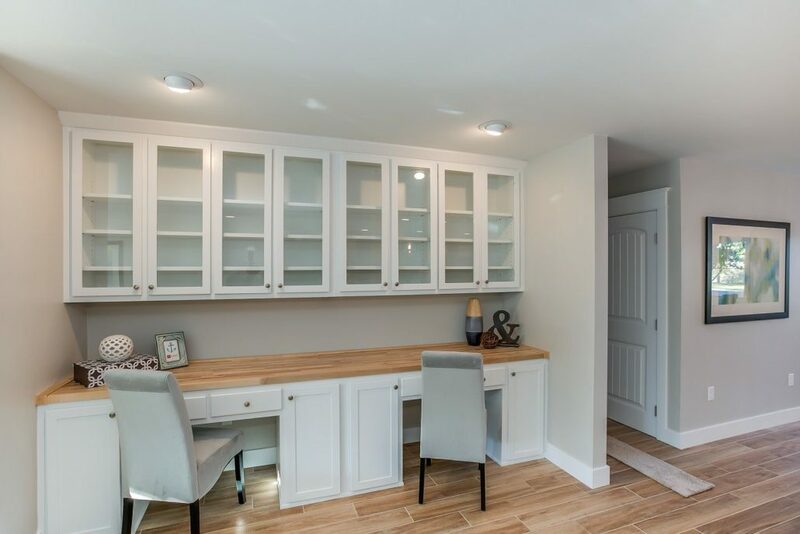 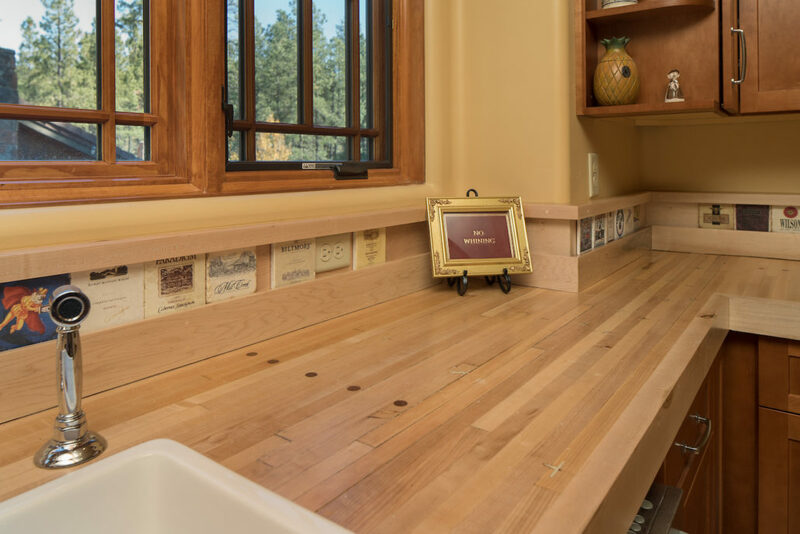 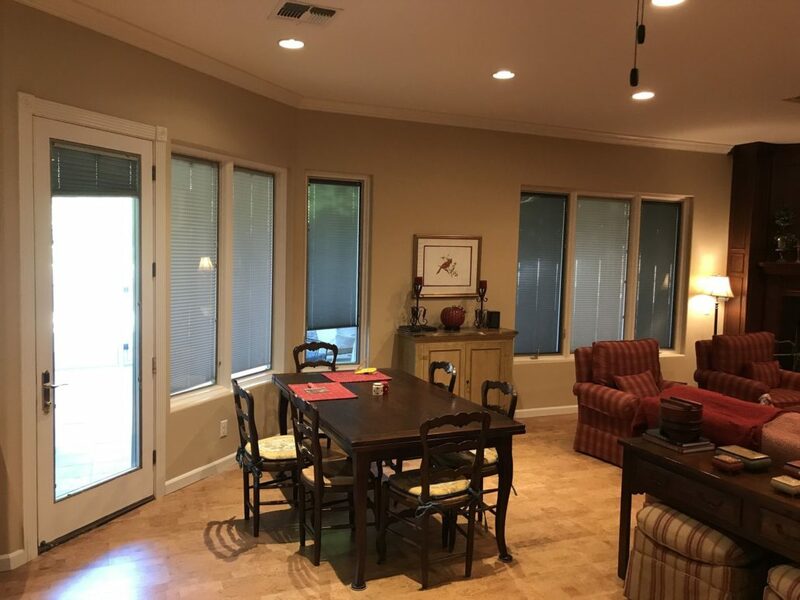 HCI’s custom touches finished the remodel which included custom built-in cabinets, cased windows and doors, as well as an entirely redesigned exterior front entry. 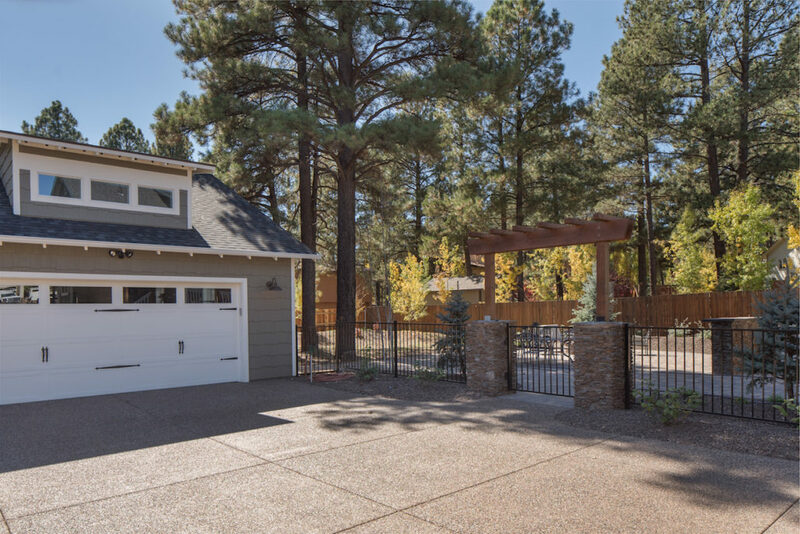 HCI completely designed and built this custom home and detached garage. 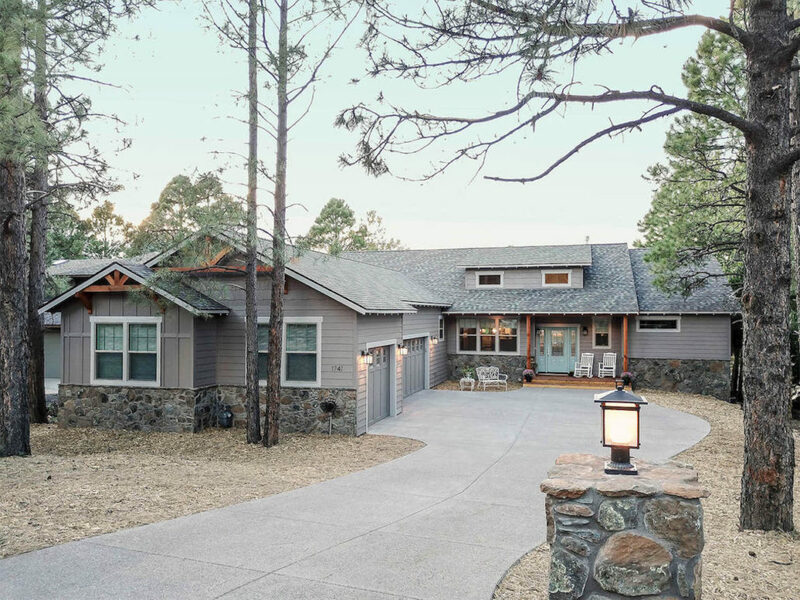 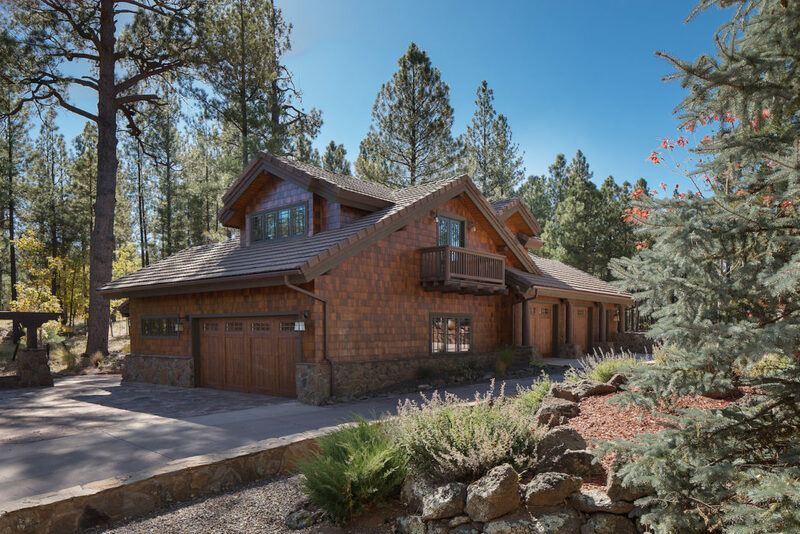 The home includes custom trim work exterior and interior Arts and Crafts details, including the 48” wide front door all completed by HCI personnel. 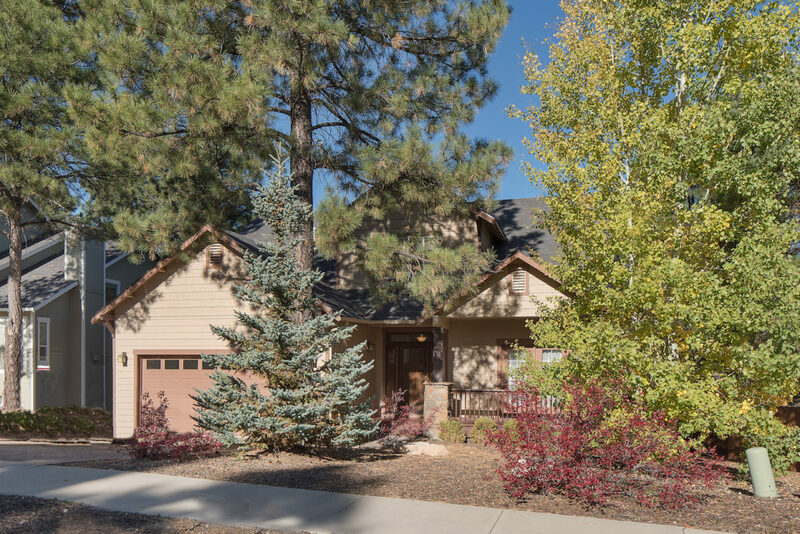 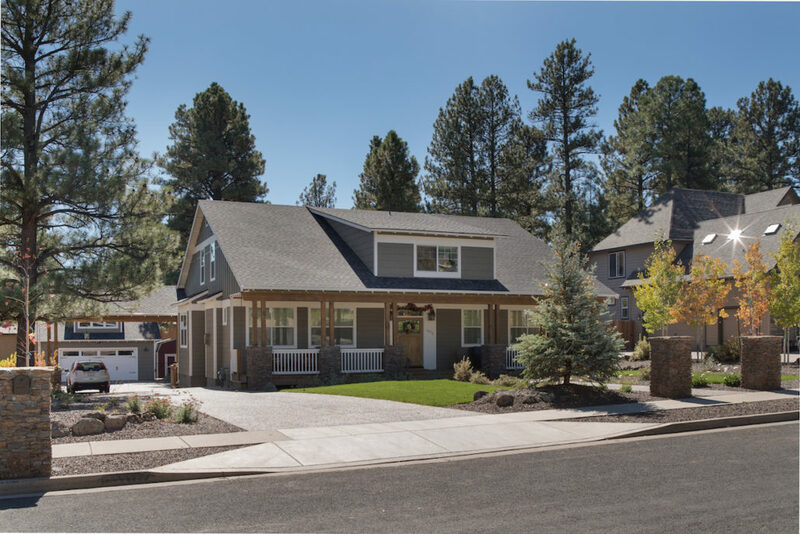 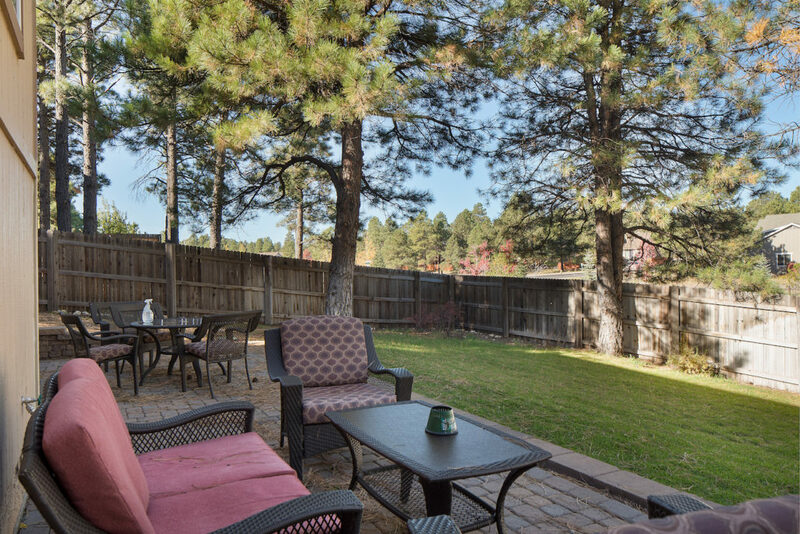 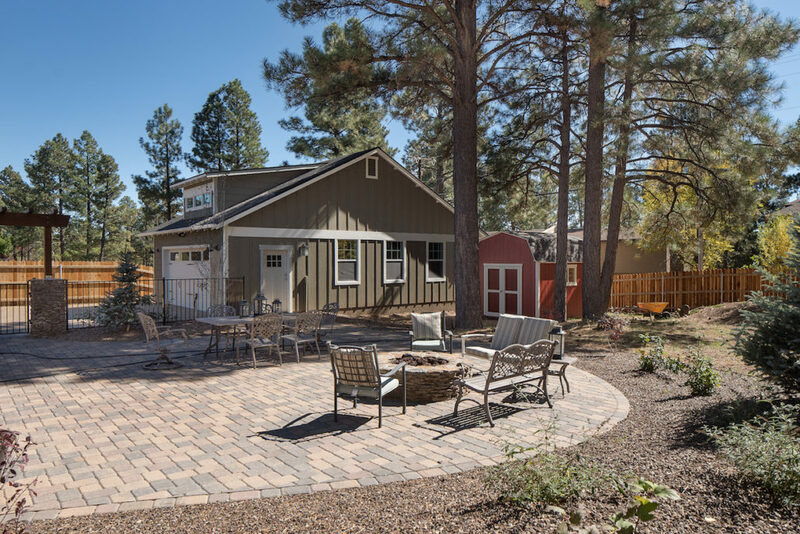 HCI Built roughly 200 homes in the Ponderosa trails subdivision in Flagstaff from 2004 through 2009. 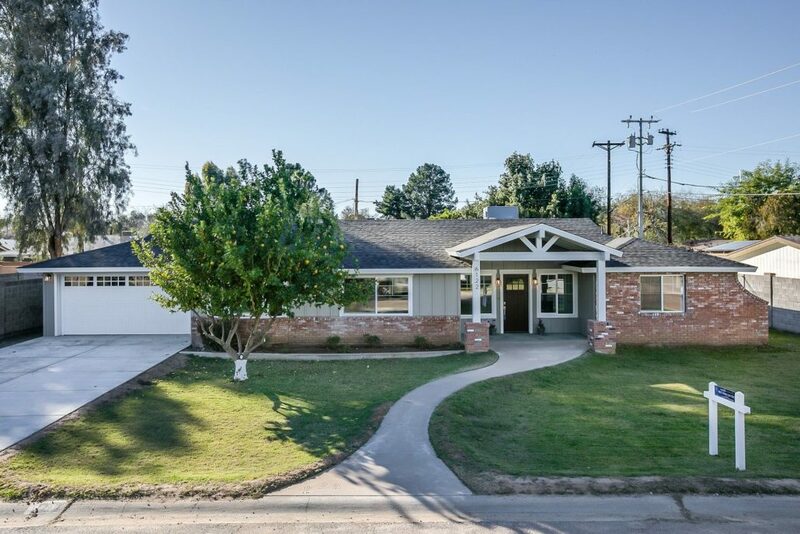 HCI just completed a remodel of the 2004 model home. 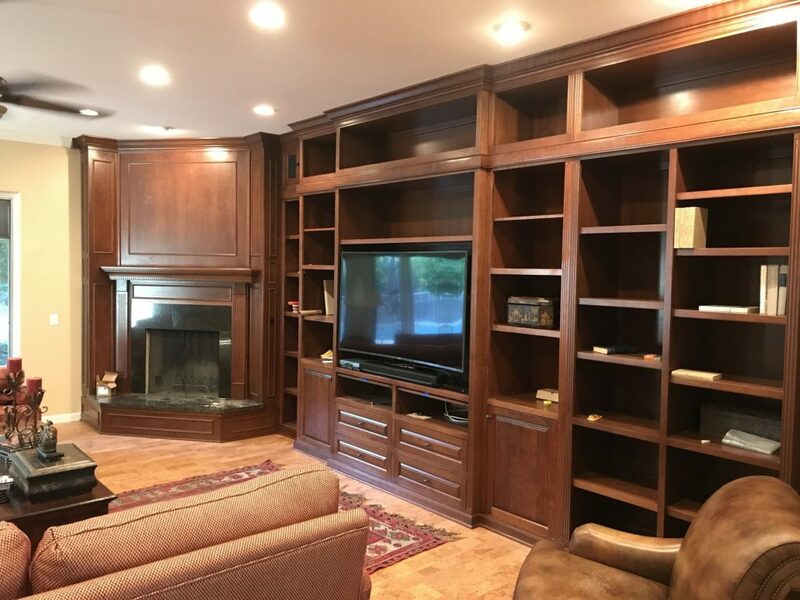 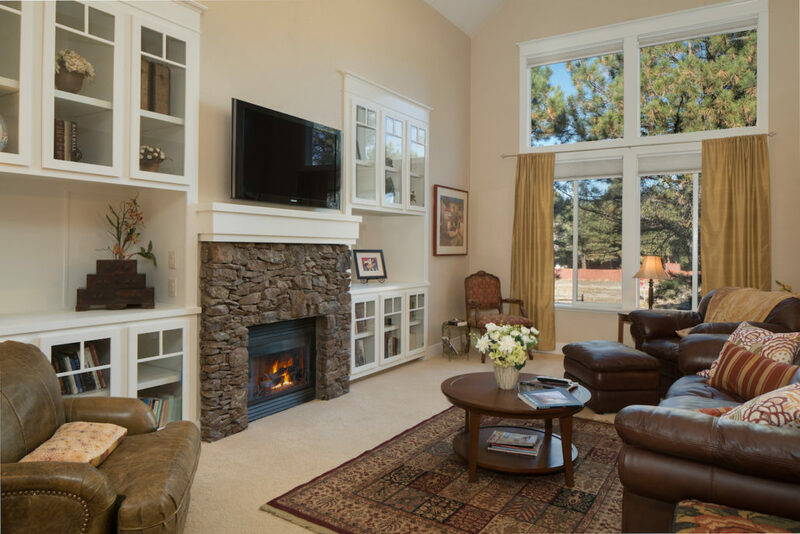 The built in cabinets and TV/Fireplace were custom built by HCI personnel. 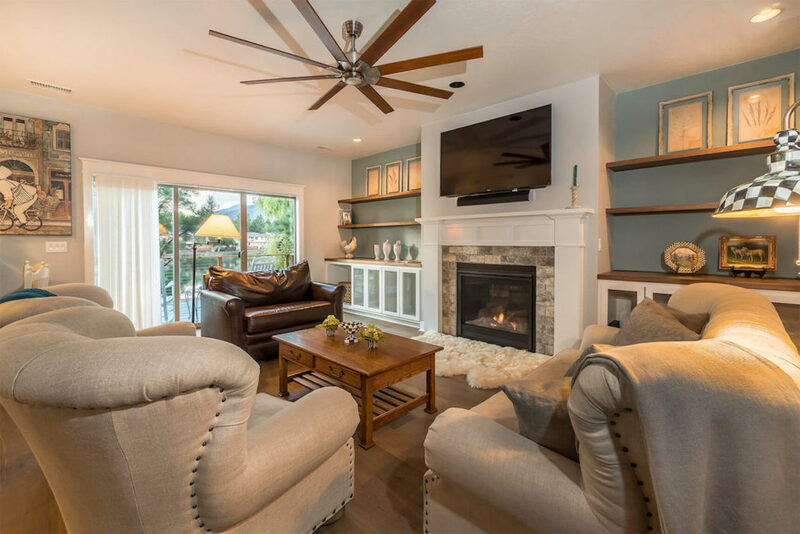 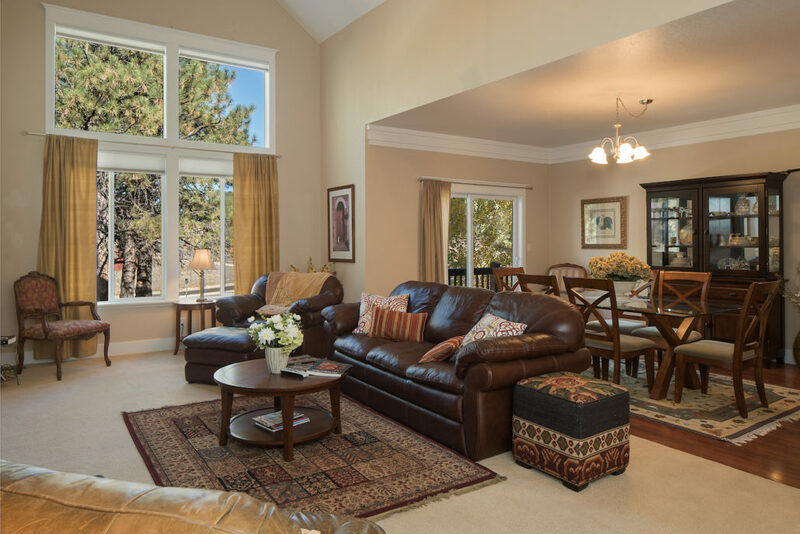 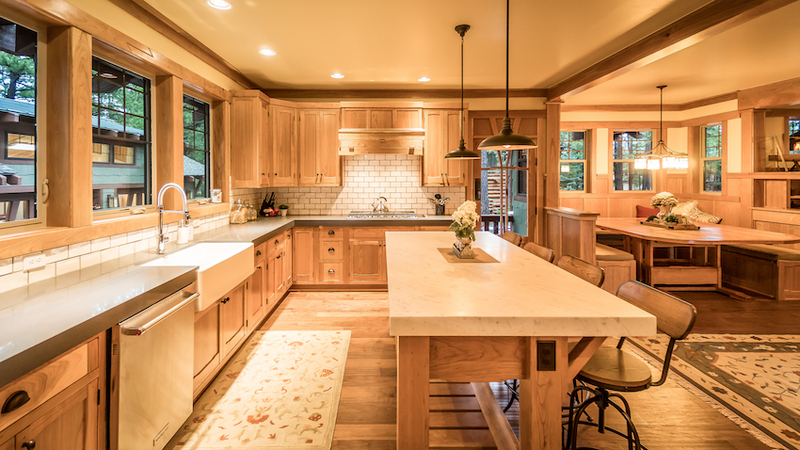 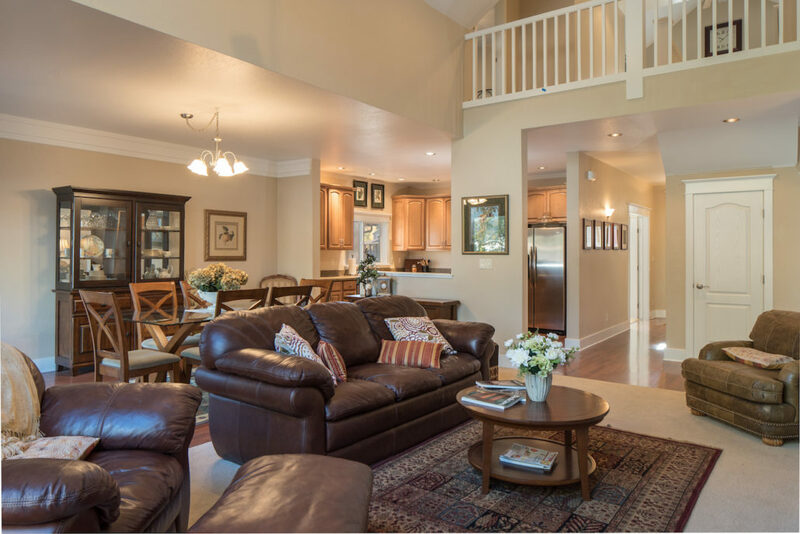 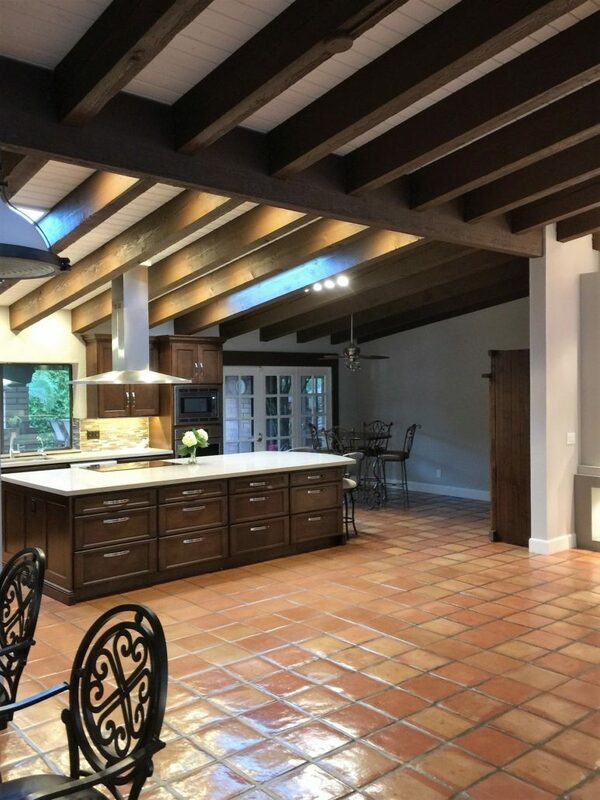 HCI remodeled the kitchen, dining, and living room area of this Biltmore home. 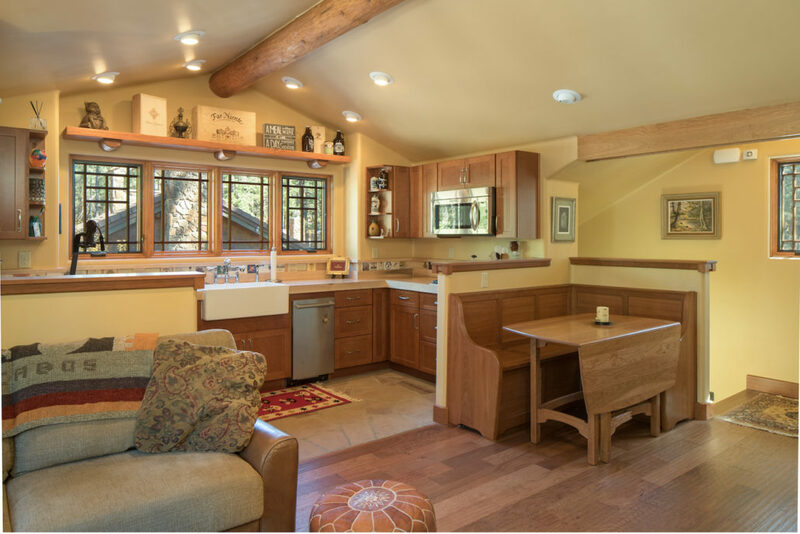 During the remodel, a large portion of the ceiling over the kitchen had to be removed to eliminate the dropped soffit. 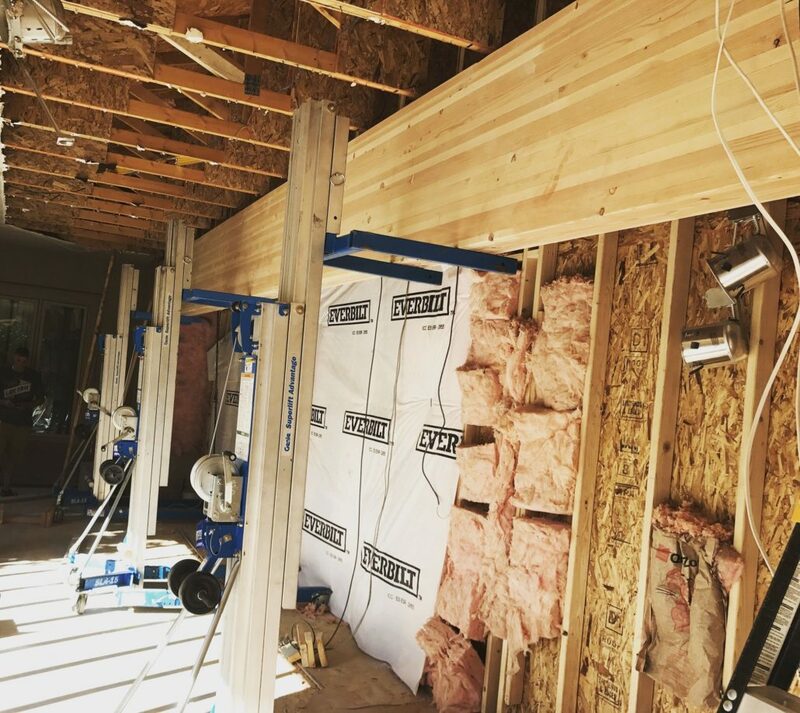 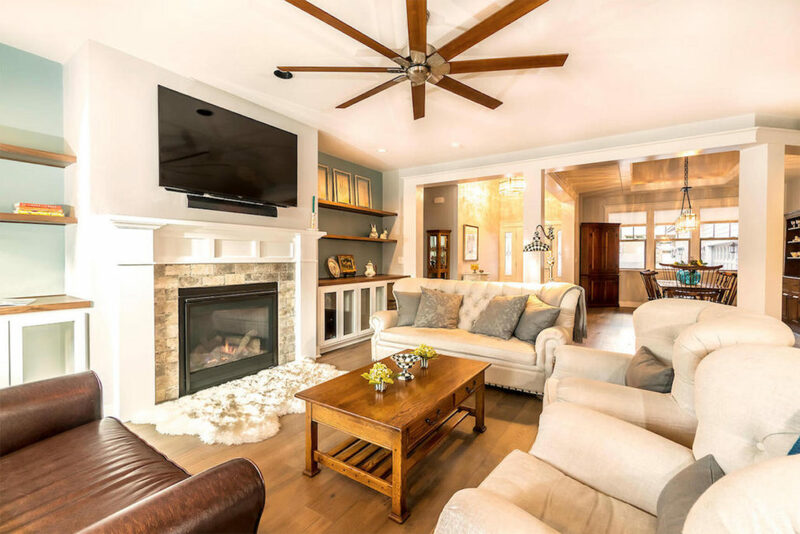 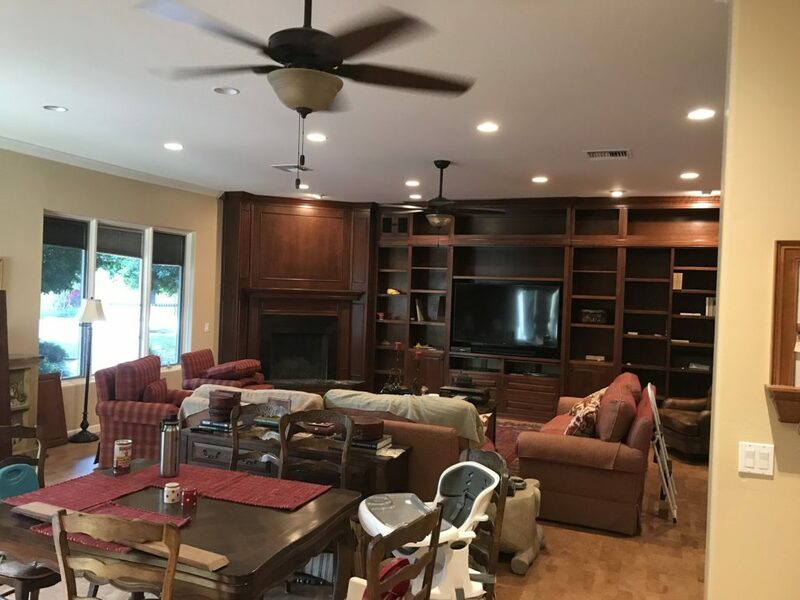 This required the addition of 6 new 8×12 beams to match the existing exposed beams in the surrounding ceiling detail, as well as the removal of a load bearing interior wall to open up the kitchen to living room area. 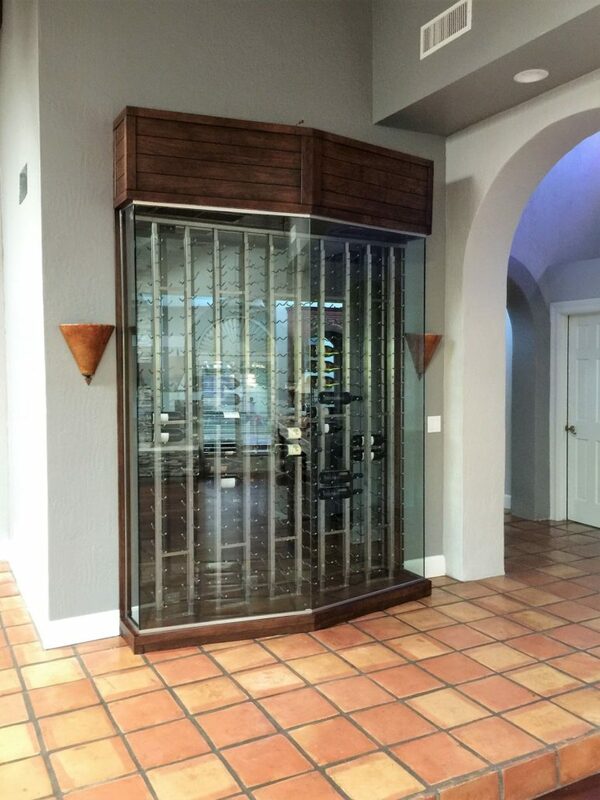 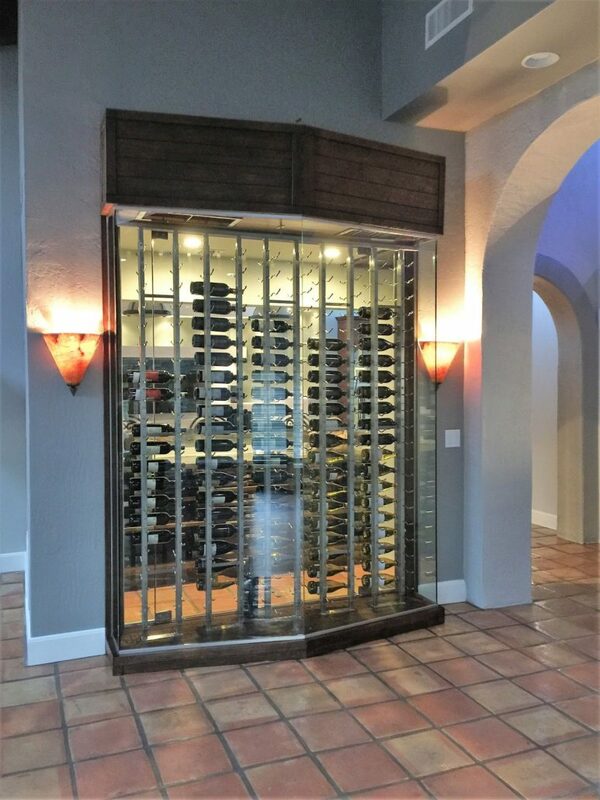 HCI also built a custom wine cellar which included custom cherry mill-work and its own mechanical system. 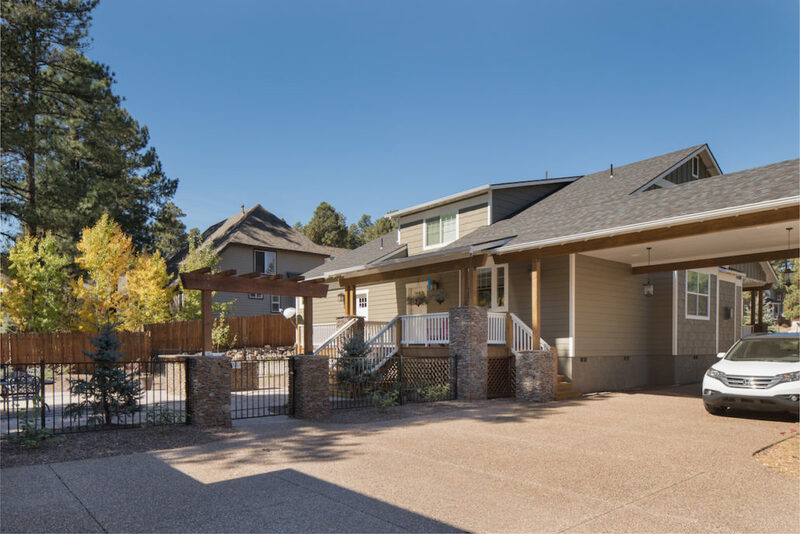 HCI worked closely with a structural engineer to solve the many structural hurdles in order to make this project a reality. 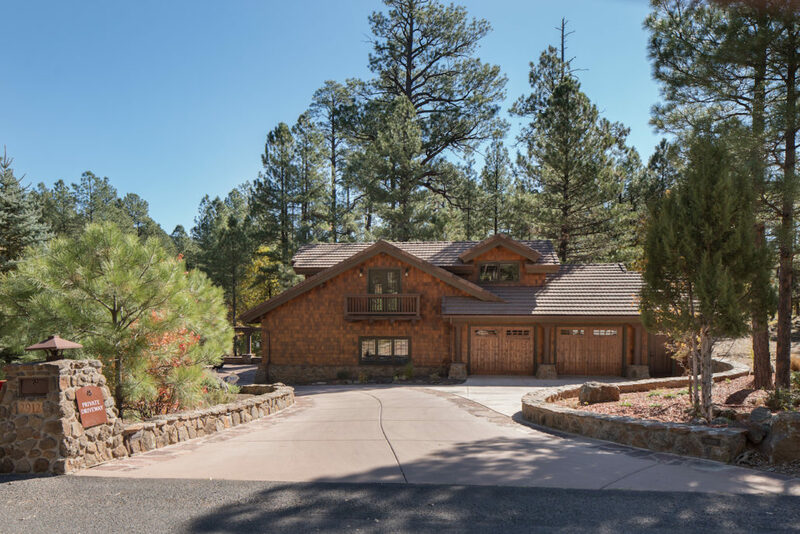 A 30′ section of the exterior wall was removed and expanded 6′ to extend the living, and dining room area of this Paradise Valley home. 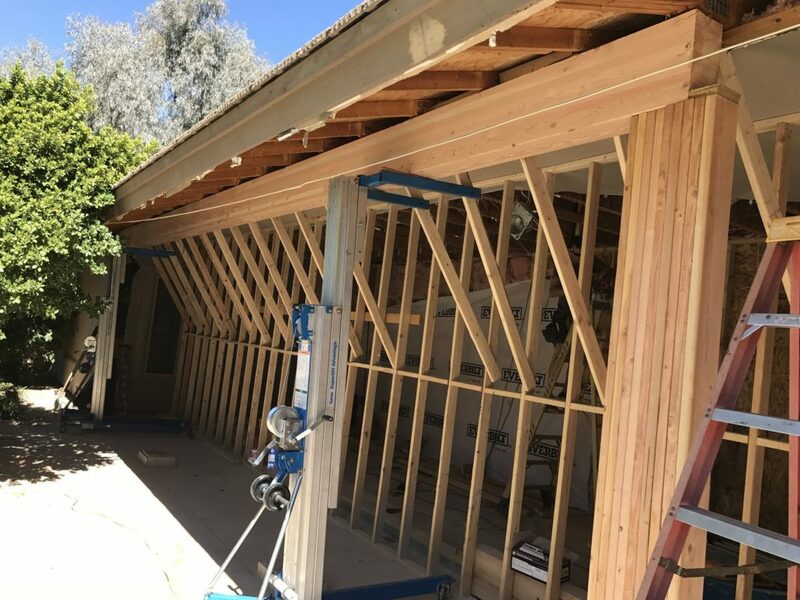 This required the trusses to be notched and gusseted in order to accommodate a recessed beam necessary to carry the load of the old exterior wall. 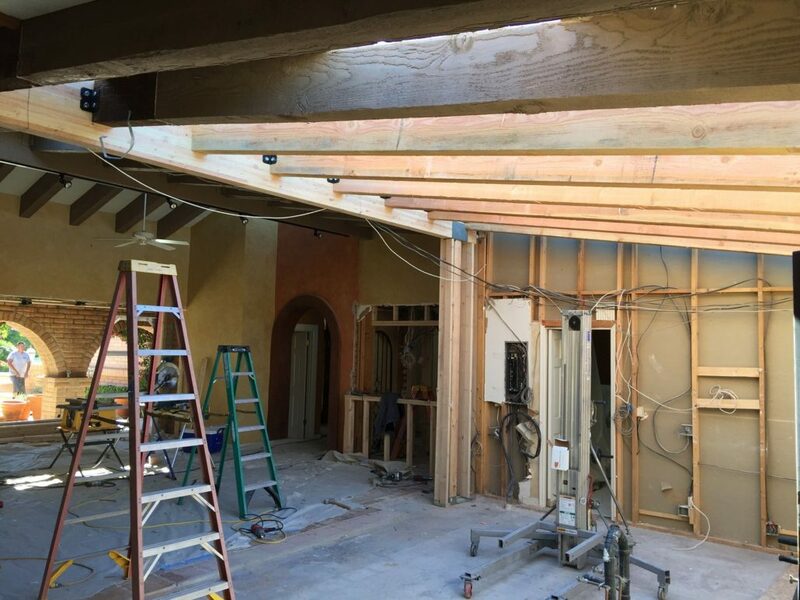 There were also 3 columns on the patio that were removed, requiring HCI to modify the trusses to allow them to be cantilever out past the newly extended exterior wall. 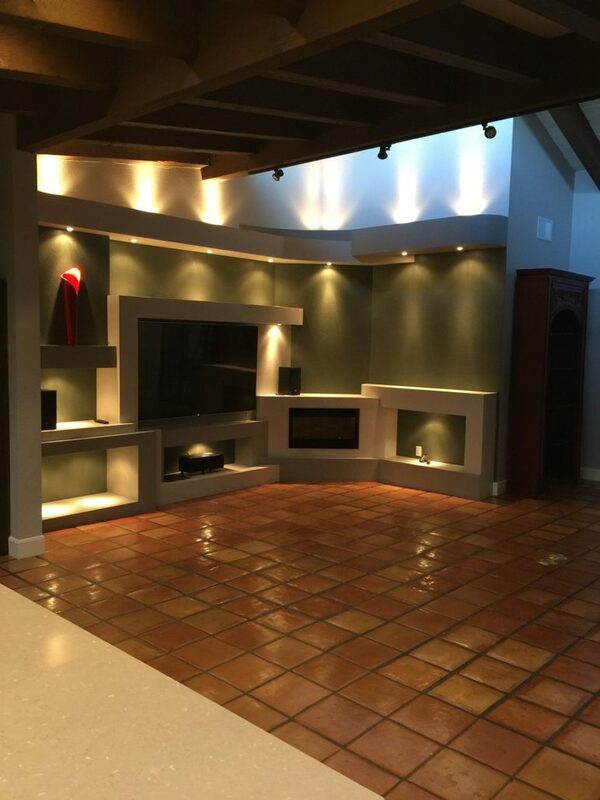 HCI also extended the custom built in entertainment center and moved the fireplace.